After getting married, Grandma and Granddaddy probably rented the farm in Henderson County where they were living by 1930. Granddaddy was still working as a farmer, and Grandma was taking care of the house. And probably visiting with family at every opportunity, cause she always did love chatting around the table with friends and family. 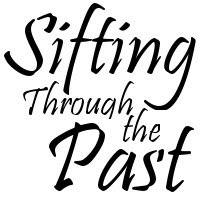 The first hit we get on Grandma and Granddaddy after their 1924 marriage is on the 18th of August, 1925, when their first daughter Effie was born. However, Effie wasn't born in Henderson County according to her own entry in her bible, but in Baird, Callahan County, Tx some 250 miles west. Callahan County is on the eastern border of Taylor County, where Grandma's sister Maggie Lorraine was probably still living with husband Otis Sanders. 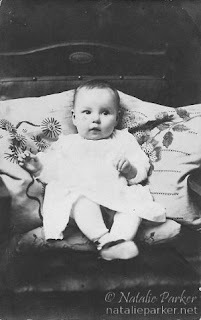 Maggie's daughter, Elsie, was born in either 1924 or 1925, several months to a year before Effie. Could it be that Grandma wanted to visit or help her sister when Elsie was born, despite being pregnant herself? Or did Grandma talk Granddaddy into moving there for a while so she could be closer to her sister? Well, whatever the reason was, Zula Irene Nowell Parmer (according to that bible entry), gave birth to her first child in Baird, Tx, about 43 miles from her 1922 home in Lawn, Tx. But try to order a copy of Effie Parmer's birth certificate from Callahan County, and you have a whole new mess on your hands. The conundrum - Or "Why can't this $#!% be easy?" When I attempted to order this document by mail, I received a letter back stating, "We don't have a Birth Certificate for Effie Parmer. We do have an Unnamed infant born to Zula Nowell and Luther Turner on 8.18.1925." I was also informed that the Callahan County TXGenWeb site's claim that "Copies are made at $1.00 per page," at the Callahan County Clerk's office apparently doesn't apply to birth certificates. They are $23, same as a certified copy (or perhaps they can only issue certified copies). Should have called ahead. Hindsight. And no, I'm not suggesting that Effie's REAL dad was some guy named Luther Turner. 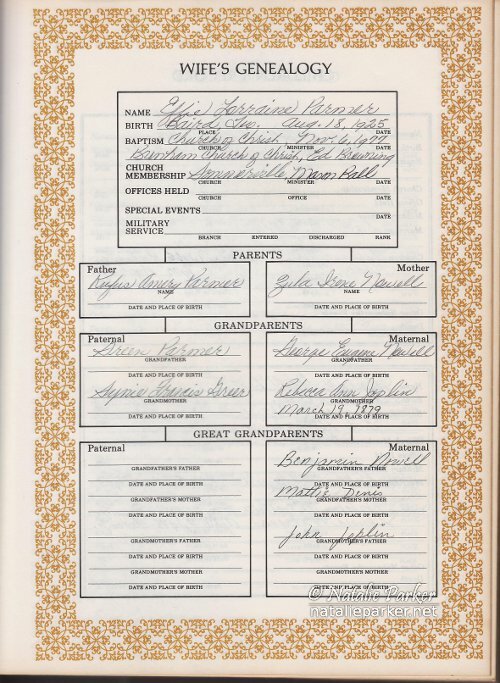 Nor can I find any instance of a Luther and Zula Turner living in Texas between 1920 and 1930 to suggest that this is simply the wrong birth record. 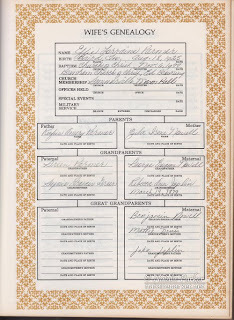 Grandma and Granddaddy seemed to be plagued by record keepers with sloppy handwriting and/or poor hearing. So I have no doubt that this is just another case of a "best guess" by the transcriber of the original document, or simply incorrectly recorded data. I'm guessing here, but I figure she must not have ever needed to obtain a copy of her birth certificate, and therefore it went uncorrected. Or she was born somewhere else, and I just haven't located the correct birth record. Either way, unless I can track down the original document, this one remains just another weird mystery. "United States Census, 1930," index and images, HeritageQuest Online (http://0-www.heritagequestonline.com.catalog.houstonlibrary.org/dvimage/genealogy/stage/dvimage?filename=/heritage/vault/hqc14/T626/2355/1/46A.tif&invert=0&scale=2&mimeType=application/pdf : accessed 11 Feb 2013), Amry Parmer, Justice Precinct 4, Henderson, Texas, United States; citing enumeration district (ED) 107-11, sheet 2A, family 29, series T626, roll 2355, Page 46.